The services we offer to clients in geochemistry are based on both our outstanding theoretical foundations and our practical experience in the field. C&R use analytical, interpretive and modelling methods to provide solutions to client issues ranging from waste rock runoff contamination to water treatment for beneficial use. Our expertise centres on the interaction of dissolved, colloidal and suspended species with clay and soil particles, and we build realistic scenarios of geochemical reactions in Geochemist’s Workbench (GWB) to inform our recommendations. Contact our director and principal geochemist, Chris Cuff, for more information on how we can apply geochemical modelling to your particular site issues. 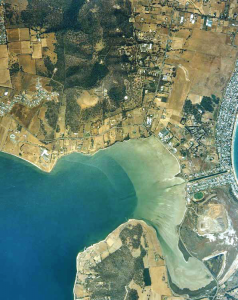 C&R explored the potential impacts on water and sediment chemistry from a construction development near the Derwent River, Ralph’s Bay, Tasmania. As the development involved disturbance and consequential oxidation of soils, there was a potential for metals exchange between pore water and sediment, possibly followed by transport via rainwater runoff and leading to greater bioavailability of the metals. In response, we assessed the geochemistry of the pore water and seawater, and the mineralogy of the host rocks and surficial deposits to provide inputs to a geochemical reaction model run in PHREEQC. The model scenarios were designed to provide the client with realistic results, and included: speciation models for seawater and pore water at variable concentrations; mixing models for these two solutions with different partial pressures of carbon dioxide; and reaction models for rain water and pore water with addition of mineral phases to predict metal mobility. Through interpretation of the model results, we gave our client an outline of the management practices required to mitigate the potential contamination risks to acceptable levels. C&R regularly provide our mining clients with mineralogical and chemical waste rock characterisation, and mine water quality studies. 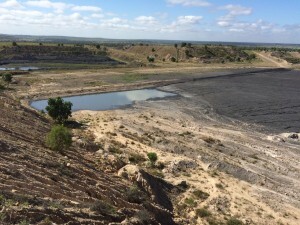 In this case, we went a step further and determined whether the runoff from the walls of a tailings storage facility constructed of coarse coal rejects could be passively released to the environment, or needed to be captured and released under standard release criteria for mine-affected water. We combined X-ray diffraction, customised leachate testing, and geochemical modelling (using Geochemist’s Workbench) to determine: the mineralogy the coarse reject walls; the runoff composition and the concentrations of contaminants adsorbed by soil. 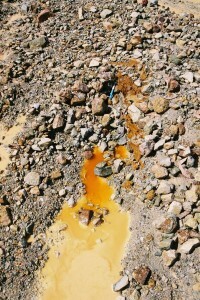 Our findings demonstrated to the client that the local soils have the ability to adsorb contaminant concentrations several orders of magnitude higher than could be delivered from reactions between runoff and the walls of the tailings dam, thereby avoiding exceedance of contaminated land guidelines. Based on this geochemical understanding, we worked with our client to devise a suitable management program. 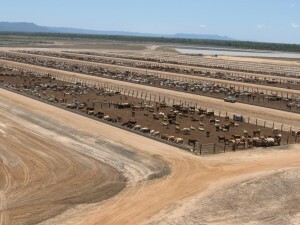 C&R recently provided an assessment of the groundwater at a large cattle feedlot and performed a proof of resource for the groundwater to be used for irrigation, stock watering, and other agricultural uses. In addition to a physical hydrogeology analysis, we compared the geochemical composition of the groundwater to state and federal water quality guidelines, helping our client to determine if the resource was fit for the intended purpose of stock watering. We used Geochemists Workbench (GWB) to model the speciation of analytes that were present, as this controls their bioavailability and toxicity. With our extensive experience in the seasonally arid tropics, C&R take into account erratic rain events and swelling/contraction of clay-bearing soil in our waste management and site rehabilitation reports. We recognise that some methods, such as inert clay capping of mine waste, have reduced efficacy under these conditions. Therefore, when our gold mining client approached us for recommendations on waste management to control arsenic concentrations in mine-affected runoff, our preferred method was water treatment. We used our knowledge of the runoff composition and potential treatment materials to design reaction models that predicted the degree of arsenic removal possible and its speciation. We considered phosphate and fluoride as potentially interfering species, but their removal through the treatment process was an added benefit to the client. Our final output was the design of a practical treatment system for the arsenic using local resources. C&R used Geochemist’s Workbench to model the interactions of groundwater and surface water with anomalously mineralised host rocks to provide recommended site-specific contaminant trigger levels and limits. 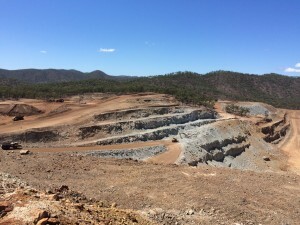 The Mt Moss resource is a scarn-hosted iron ore deposit situated in a zone of hydrothermal alteration, also the source of additional poly-metallic (Cu, Pb, Zn, Ag) and tin (Sn, Mo, W) mineralisation. This complex geological setting drives naturally high levels of heavy metals in the host rock, and corresponding elevated concentrations in the groundwater and surface water. We gave our client a clear indication of the contaminant levels possible under natural conditions according to expected geochemical reactions, thereby determining a theoretical site-specific background water composition relevant to compliance.